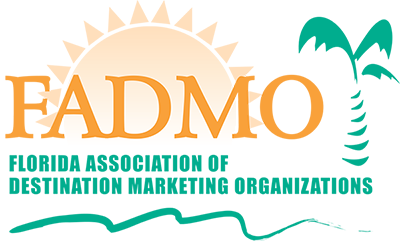 As a member of FADMO, you are encouraged to actively participate in the legislative process. Building relationships with your legislators in your home district is the single best thing you can do to help protect the Tourist Development Tax funds and ensure that those funds will be used only as intended, to promote tourism marketing. 2. Send a letter to your legislator, introducing yourself and your organization and outlining the importance of tourism marketing. 3. Schedule an in-district/state visit with your legislator and/or their staff. Members are usually in their district on Mondays and Fridays, as well as during periods when the Legislature is on recess. To view the Legislative schedule, visit www.leg.state.fl.us. 4. Invite your legislator to to take a tour of your offices – let them see first-hand just how big and critical our industry is and the quality jobs it brings to our state. 6. Follow up with your legislators and staff and keep in touch often. Offer to be a resource to your legislators and their staff.